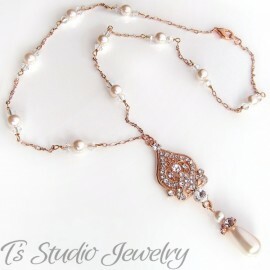 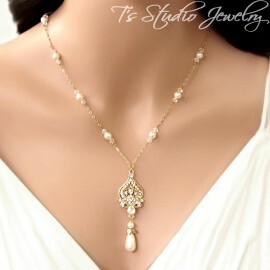 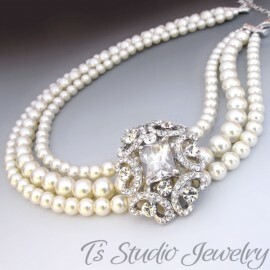 This necklace is stunning ... perfect for your wedding day, or just with a pair of jeans! 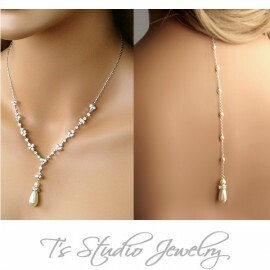 The focus of this necklace is a silver rhodium plated flower clasp, with a single crystal in the middle. 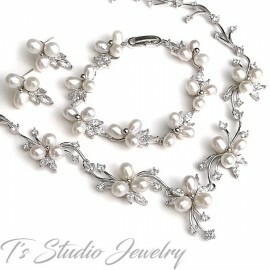 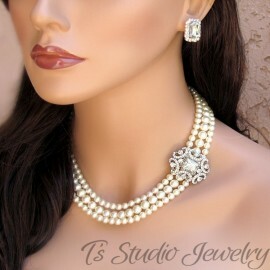 The two strands are made with Swarovski pearls and crystals, and finished with silver chain. 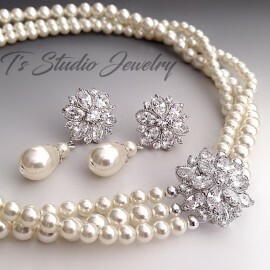 Matching post style earrings are made with round pearls that dangle from a silver and crystal flower.